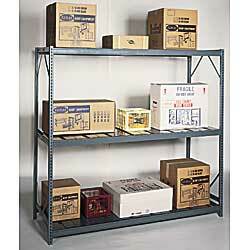 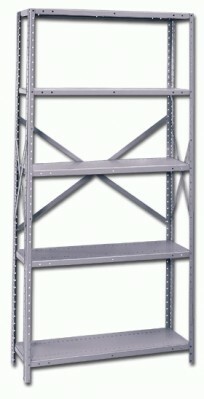 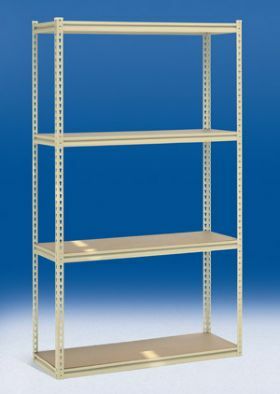 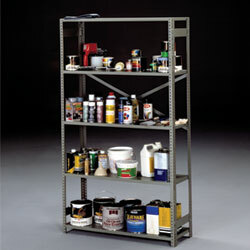 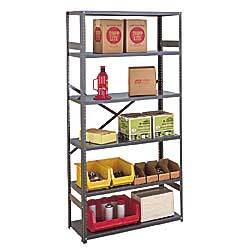 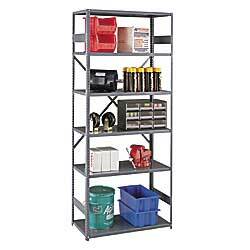 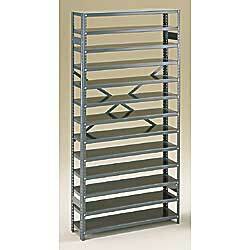 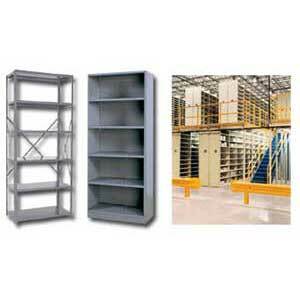 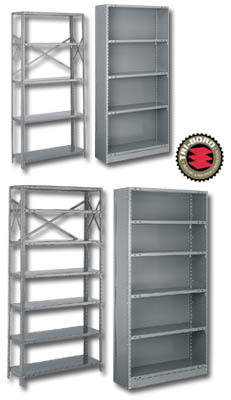 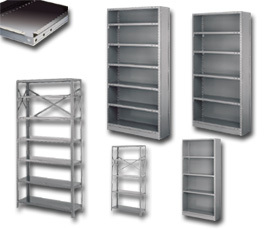 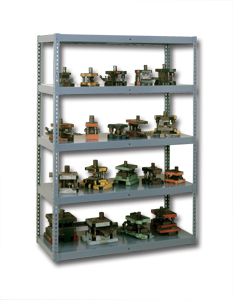 Material Handling Solutions has a large selection of steel shelving. 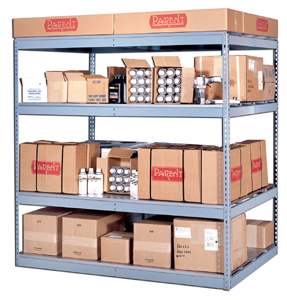 We offer affordable and top quality industrial steel shelving and our rugged and dependable units deliver super strength for all types of storage uses. 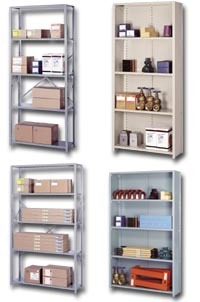 We offer shelving for various capacities and storage requirements. 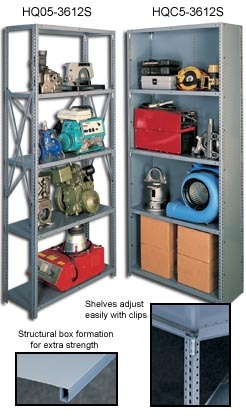 You can choose between open or closed units and add accessories to suit your specific storage needs. 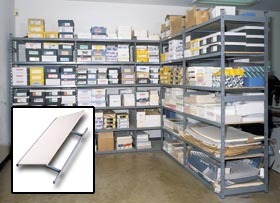 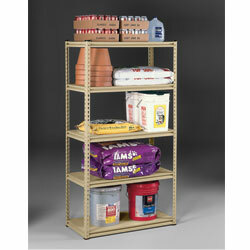 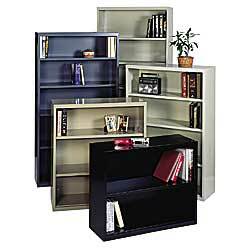 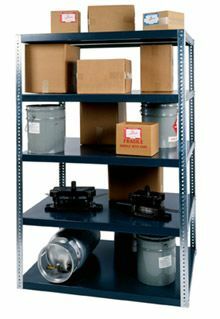 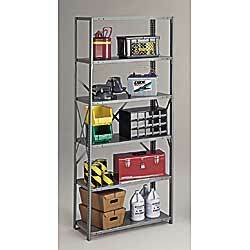 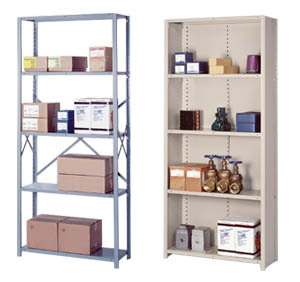 We carry both boltless and time saving quick and easy clip-type assembly shelving. 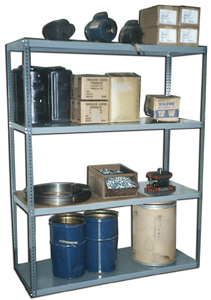 Steel shelving is the perfect storage solution for your factory, warehouse or office stockroom and it is ideal for storing packages, parts, supplies, tools or inventory.